Every year large number of skilled immigrants is targeted by this province of Canada under its provincial nominee program for bringing in prospective talent. 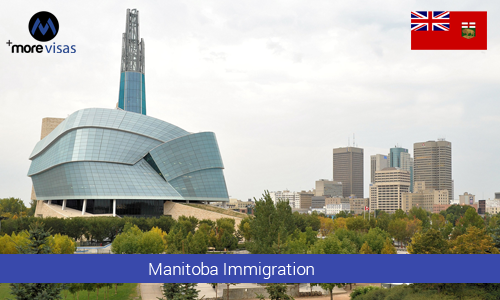 The selected candidates are given a Nomination Certificate that would speed up the process of Manitoba immigration. A potential candidate can immigrate to Manitoba either through Express Entry or without it in three ways. Overseas skilled workers can apply for MPNP through the pool of Express Entry. Manitoba selects the candidate from this pool. Skilled workers can apply directly to MPNP, this Manitoba PNP program then select the applicants and instruct the applicants to enter the pool of Express Entry. Skilled workers can also apply directly to MPNP, this provincial nomination program would nominate the candidates through its pre existed skilled workers and business categories. The nominee does not need to enter the pool of Express Entry but they would separately submit the application for the permanent residency. Under this MPNP program, the category of skilled worker operates through the system of EOI (Expression of Interest), they need to answer the questions online and then submit their profile in the pool of EOI. Based on the profile, the applicant gets the points. MPNP will rank the profile of the candidate and those candidates with high scoring points are invited to apply for the MPNP program. There is no cap on the number of candidates for submitting an EOI. Under the skilled worker category in Manitoba, eligible temporary overseas workers and foreign student graduates can apply who are presently working in Manitoba and they are provided a permanent employment. Under the skilled workers overseas category, it uses the points based system for selecting the candidates. Points are given based on the applicant’s age, language, education and work experience.